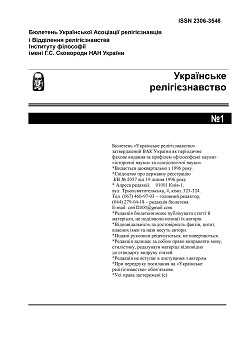 The Ukrainian Association of Religious Studies (UAR) is a non-partisan, secular, non-governmental organization that unites voluntary scholars, religious scholars, theologians, and teachers of religious studies in educational institutions of Ukraine. Established in March 1993 and registered by the Ministry of Justice of Ukraine in July of that year. UAR has its organizations in 18 oblasts of Ukraine, as well as in the cities of Kyiv and Sevastopol. Membership in the Association is individual and collective.